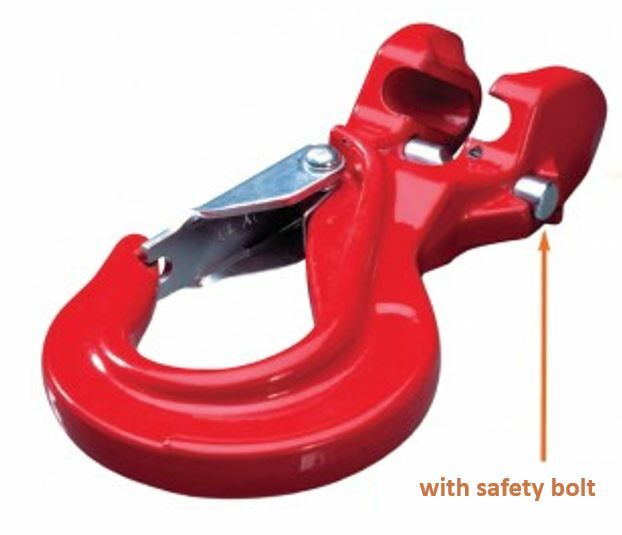 New lashing hook with integrated shortening device and safety bolt for lashing chains! Helps to save material, time and money. This component serves as lashing hook and reducer as well. No extra reducing claw is necessary. So funktioniert es: DoClick wird am langen Ende der Zurrspannkette in der gewünschten Position eingehakt. Function: DoClick is hooked into the long ending of the pretensioner chain. The safety bolt represents the protection against an unintentional loosening of the reduction device (according to EN 12195-3). Default length of lashing chains L-140, L-160 + SP, L1 = 3500mm By default with securing chain and turn-off protection. Each length available! The overwinding of the turn-off protection damages the tensioner element. Please follow the instructions for use! The new DoKett-HitPro lashing-chain in grade 120 allows higher tension forces at the same nominal size compared to grade 80 and 100 chains. 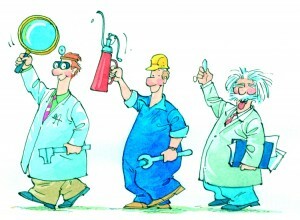 Through intelligent use of materials it is possible to improve essential chacracteristics (e.g. : bending streng of the chain) compared to general round-steele-chains. Your advantage: higher lashing capacity and weight reduction at the same nominal size (see table). For easy distinction purposes the DoKett-HitPro-chain is specially is black powdercoated and its components are blue powdercoated. Furthermore the chain is specially corrosion-protected. Extreme temperature resistance from- 60°C up to 200°C at 100% lashing capacity and from 201°C up to 300°C at 60% lashing capacity. The identification-tag shows the important information about lashing capacity and standard-tension-force. The parallel hook with safety guarantees an easy way of shortening to adjust the chain flexible. The optimized ratchet load tensioner enables high pre-tension-forces. 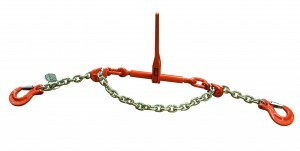 Default length of lashing-chain L1 = 3500 mm with securing chain and turnoff protection. Each length available. The carrying loas that has to be secured with 4 lashing chains is to be read off in the adjacent table. Haven’t found the right lashing chain, yet?